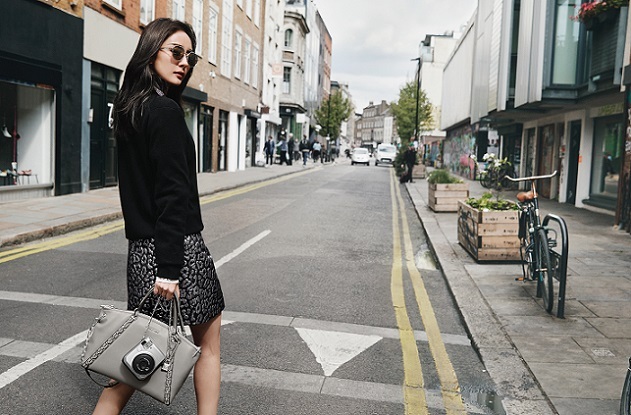 Michael Kors presents the latest iteration of Michael Kors The Walk with the brand's favorite new fashion influencers take the season’s must-have bag, the Sadie, to the streets of London. The campaign stars three international trendsetters - British model Ella Richards, American model Selah Marley and Chinese actress Yang Mi who styled themselves in their favorite pieces from MICHAEL Michael Kors Fall 2017. In keeping with previous seasons, the campaign was lensed by renowned street style chronicler Tommy Ton. Fall was inspired by the idea of the rock "n" roll glamour of the 1980s but with a modern edge, which these three young women have in droves, It was exciting to take Maicheal Kors The Walk to a city with such great street of its own, says Michael Kors. This season, the spotlight turns to the Sadie handbag, showcased in three chic shades. In keeping with Michael’s inspiration for the season, the Sadie’s chain-link detailing lends a downtown attitude and plenty of day-to-dark appeal to each influencer’s looks. The campaign on MichaelKors.com also includes an influencer- and user-generated content where fans can engage with the campaign by posting street style photos of themselves wearing Michael Kors on Instagram and Twitter with #SidewalkSpotted, with a selection of user posts to be featured on MichaelKors.com and also marks the fourth in an ongoing series, with new style personalities joining Michael Kors The Walk each season to spotlight key handbags and ready-to-wear.